Nestled in Heather Ridge Golf Community. This wonderfully updated townhome features new dark wood flooring throughout, brand new black stainless steel appliances, new carpeting, hardware, light fixtures, and more! This townhome offers an open floor concept with soaring two story ceilings for ample natural lighting, a master loft bedroom with an oversized closet and en suite full bath, one main-level bedroom, and main-level bathroom. Awaken your inner Chef in your kitchen with brand new black stainless steel appliances, custom painted cabinets, beautiful countertops, and breakfast bar. Enjoy your delicious meals on your lovely partially enclosed patio so you can enjoy the beautiful scenery while maintaining privacy. 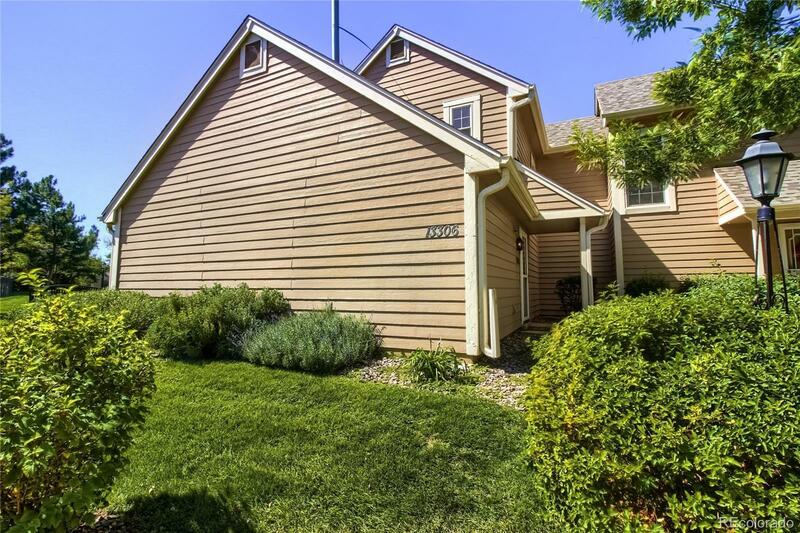 Located in the highly desirable and the award winning Cherry Creek School District, near trails, Aurora Reservoir, RTD Lightrail, Anschutz Medical, Denver Tech Center, and close to I-225!